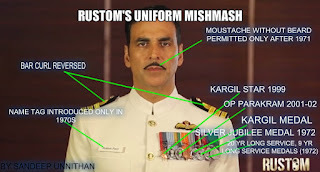 A tweet from Sandeep about the recent Rustom movie hero uniform as "Bollywood just can't get the Uniforms right". It is a story set in 1959. Name tag was introduced in 1970s. 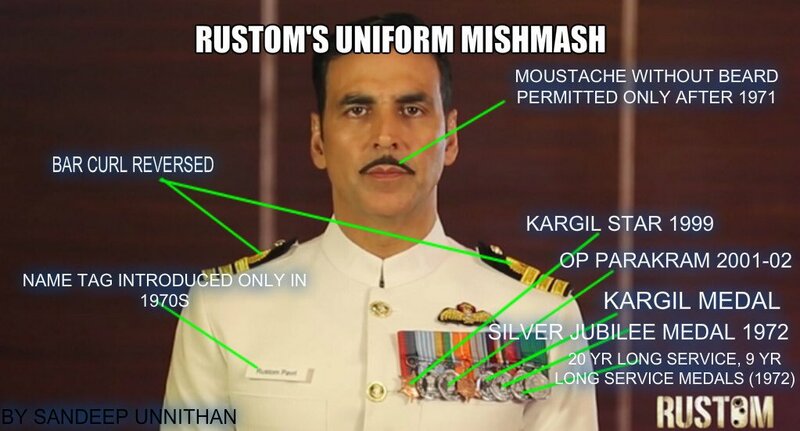 Moustache without beard was permitted only after 1971. Source : Twitter, credits to Sandeep Unnithan.